It’s one one of most common question from lots of bloggers and often asked by users what should we do after installing a fresh new WordPress in our hosting. That’s why I thought I should write about this topic for all of my readers. It’s very important to do some basic configuration after install WordPress. Which helps you to take your website to the next level. Let’s start. After installing the WordPress the first step you have to login into your dashboard. 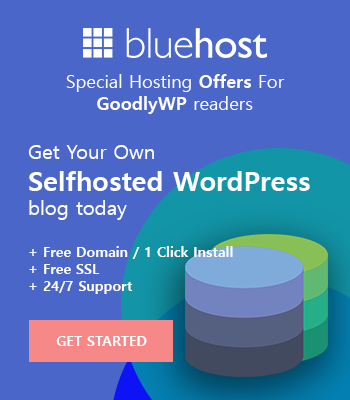 However, there are some hosting providers like Godaddy, Bluehost they have the default option to login into your WordPress dashboard through their hosting. But I don’t want to explain that because that is unnecessary things and not the exact way. 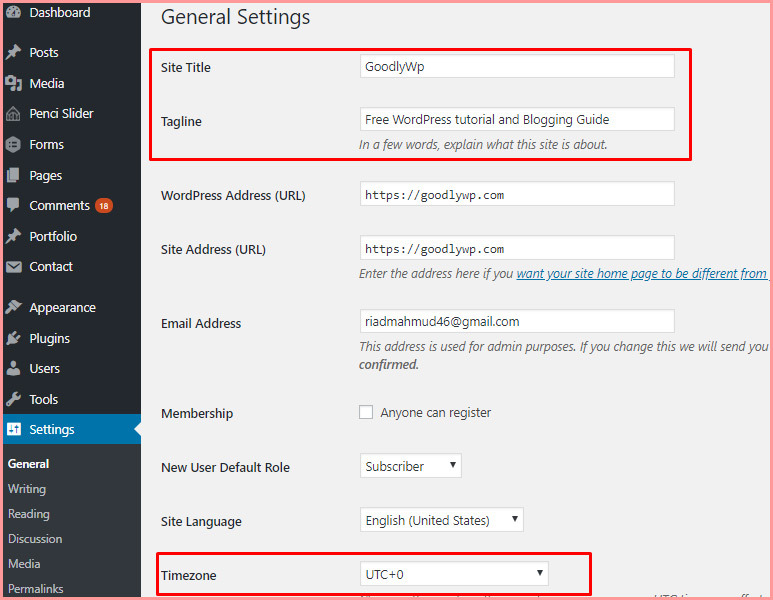 The proper way to login into your WordPress Dashboard you have to put an extension after the URL (your domain name) here is an example: http://yourdomain.com/wp-admin here the wp-admin is the extension. After going to this URL you have to put your username and password that’s it you are now in your dashboard. If you follow the above image then you can change your permalinks easily. 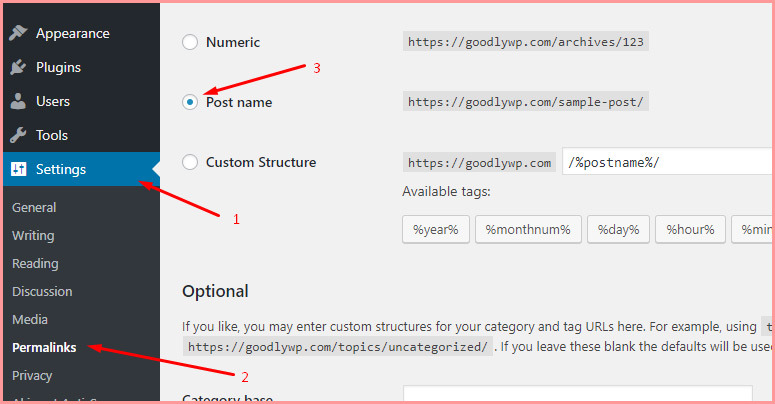 You have to go to the Settings > Permalinks select “Post name” after selecting the post name click on Save Changes. That’s awesome! You have done your first step. If you take a look at every single website which is live on the internet then you will see every single website has the contact form page. So you can’t escape this step. Also, it’s very important for you because this allows your visitor to contact you through your website. 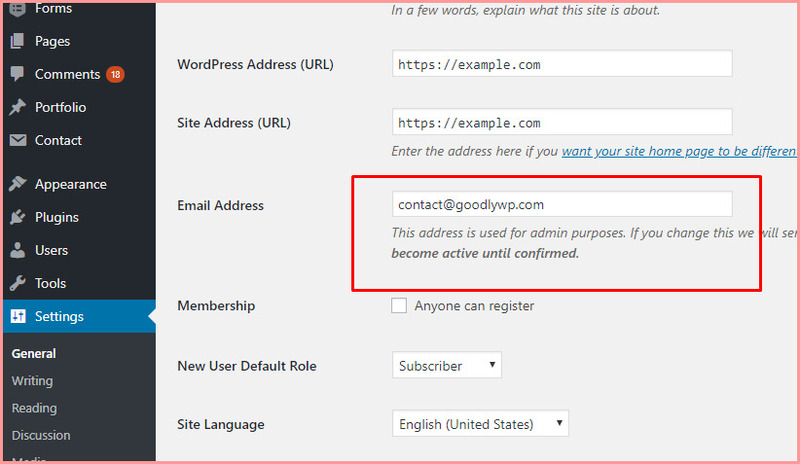 Although adding a contact form you have to use a plugin because WordPress doesn’t have the contact form by default. Which contact form should I use? : Well, there are lots of contact form out there and everyone trying best to build their contact form plugins. However, for the beginner, I’ll suggest you use Contact Form 7 plugins. Which is pretty awesome. It just takes a few minutes to install and configure the settings. Also, after install and activate the contact form it’ll create a default form in your Dashboard. You have to just put your email address and use it on your site. After installing your site you have to create some page which is required. If you want to use google ads or any other service affiliate or anything. Then as a website owner, you have to create these pages. Not only for the service! If your site is live then you should create those page to avoid any violation. Without proper SEO and proper configuration, you can’t rank your site on Search Engine. The SEO means Search Engine Optimization. As a website owner, most of the people do SEO for their website to get the more organic visitor from google or any other search engines. It’s really a good news for the WordPress users because WordPress is completely SEO friendly it almost does 80% for your website automatically. But you have to do little configuration for your website. 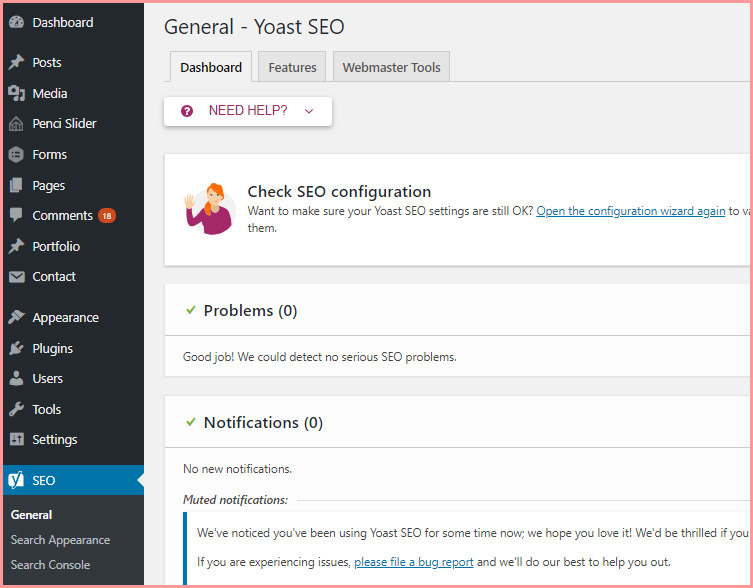 That’s why we recommend you to use Yoast SEO plugin. Yoast is one of the most popular and useful SEO plugins. If you want to know more about Yoast then you can read this complete step by step tutorial How to install Yoast SEO plugin properly top to bottom guideline. After adding some page and post. This is the perfect time to configure the SEO plugin. 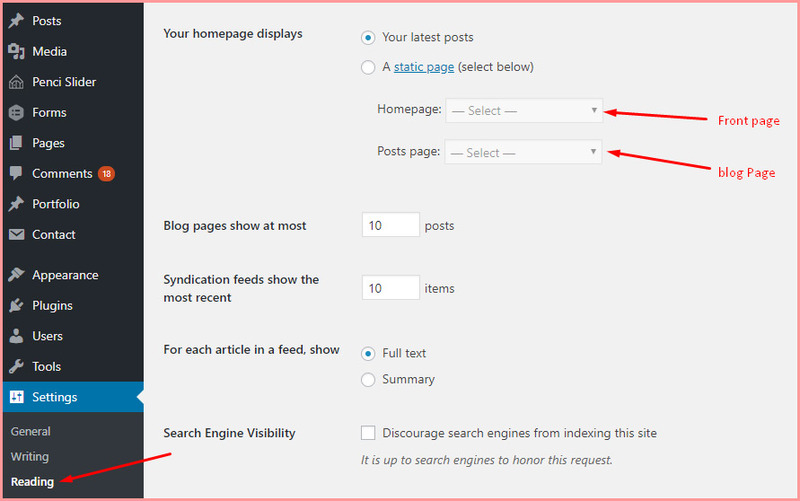 The Yoast SEO plugin will take care of all of the upcoming necessary posts and pages automatically. It’s one of the most important parts for the website owners to take a look at their audience and understand what they are looking. If you don’t take care or think about your audience activity then you can’t make a successful website. A simple smart decision can change your website view and you will get more traffic. To take care and understand your audience you have to configure Google Analytics tools. This will show you every single step on your visitor in your website. This is very easy to install the Google Analytics on your website. We suggest you to use MonsterInsights Google Analytics plugins for your website. 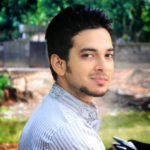 This is one of the best Analytics plugins and useful for the webmaster. This is a horrible thing. A few months ago one of my clients didn’t use any Spam protection on her site. Then within a few days, her website goes down for unknown spammy links and distributing malware. Also, it affects her website, ranking on Google. So don’t be afraid. It’s very easy to use and protect your site from spam links. For avoiding this issue you have to install and configure properly the Akismet plugins. Akismet is one of the useful and popular plugins for Spam protection. It protects and prevents spam comments without showing you or approval. So you don’t have to worry about after installing this. Your website loading speed is very important to rank on google. This is one of the Google ranking factors. You have to focus on it very seriously. A study shows that if your website delay 1 second time to load properly then this can decrease your 7% conversion rate as well as 11% page views. So as a new website owner, you have to focus on your website speed. Make sure the loading speed is average and it should be less than 3 seconds. If you use any caching plugin then it’ll decrease your loading time and solve speed issue. However, there are also a few things you have to do to decrease your loading speed. A caching plugin only can serve your website page cached copies to the user’s interface very quickly instead of regenerating them. This reduces server load a little bit. But I recommend you if you want better result then you should use W3 Total Cache plugins. This is an awesome and very useful plugin which will help you to optimize your website page perfectly. Without having any issue. Taking a regular backup is very important as a webmaster. No one wants to loss their secret data and lots of hard work within a few hours. I know how much hard work needed to build a successful blog website or any other website. So, you have to take backup on your website on a regular basis. However, there are few WordPress hosting companies they have default backup system in their server. And they take regular backup on your data. You can use that one. If you want my suggestion then Personally I prefer to create my own backup using my own way. Luckily there are lots of WordPress website Backup plugins which you can use without spending any money. Most of them are free. I personally recommend you to use Updraft Plus Backup plugins. It’s one of the most popular and trusted plugins. Which has lots of functions that you can use on your site. You can take a review some best backup plugins here. Although WordPress is an open source platform but by default, it has a great security system and they develop their Application day by day. However, there needs some tweak to make your website extra secure. For doing this you have to use any of the security plugins. There are lots of security plugins some of them are free and some of them are premium. But if you are a beginner then I suggest you to go with the free version. The free version is enough to protect your website properly from the hacker. I personally used on every single website which is Wordfence Security This is one of the best plugins that I have ever seen. It has 4.8 ratings out of 5 and right now active install is more than 2+ million website. Which is pretty awesome. I highly recommend you to use Wordfence Security plugins who want to make their website secure. It has two version free and paid. The free version is enough for you guys. I never used their premium version personally. But I used one of my client websites. Yes, it’s another point you have to do it after install and activate your themes. There are so many people they install lots of WordPress themes on their dashboard and never update them or used them. Those are very harmful to your website security. If you continuously update them. But avoid this problem I suggest you to delete those themes which are not necessary. You have to go to Appearance > Themes then click on the theme which you want to delete. This is the same process and the same things that many webmasters do. But you don’t need to keep them in your dashboard if those plugins and themes are not necessary. So delete the unnecessary or unused plugins from your dashboard. By default, WordPress has the comment section and already configured. This is one of the most useful and popular ways in a blog to create a good relation among with other bloggers. 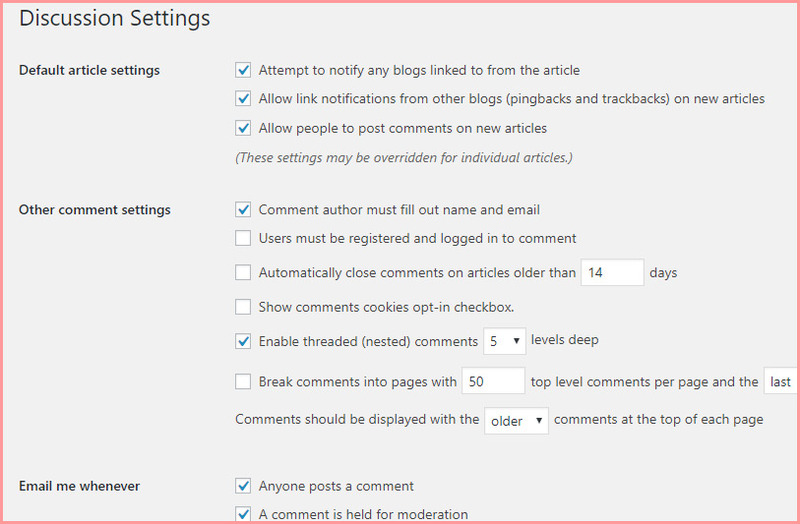 From this section, you can easily enable or disable your comments. You can setup comments notification, comment moderation and so many other necessary comment settings are available there. If you take a look properly after installing your WordPress then you will see some default content in your post and page section. There is no need to keep the default content. If you didn’t delete yet any of them then you should delete now. One of their default post is “Hello World” and the page is “Sample Page” you can find them easily under the page and post tab. By Default if you create any post on your Website and if you didn’t set any category then it goes to “Uncategorized” category post. This seems to be unprofessional. There is no need to keep the “Uncategorized” category into the category list. You can change it easily. 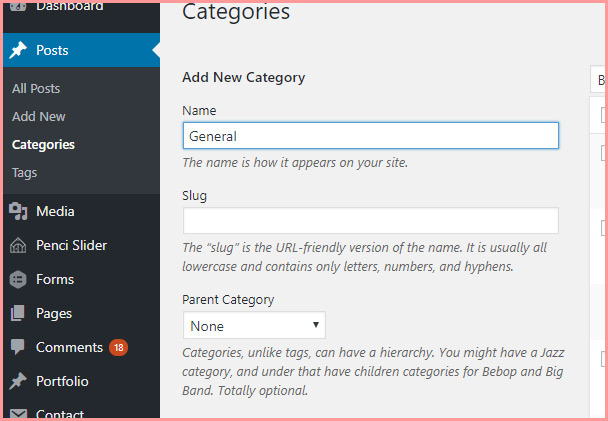 And you can create your own default category into your category list. For doing this simple setting you have to go to Posts > Categories then create a new default category. Now after Saved your settings you have to go to the category list again from the Post > Categories and then delete the “Uncategorized’ category. By default, if you create any post then it will show on the front page. But you can configure it. You can show/display a static page on the front page and create another page for the blog. If you are using a blog then I suggest you no need to change this setting. But if you are planning to create a small business website with a static homepage then you can follow this step. Most of the user use their default email address which is on the user profile and on the Dashboard. But if you want then you can change your Main Dashboard email address from this section Go to the Settings > General There you will find an input field to put your email address. WordPress uses the Gravatar website to display their user photo in the bio section and into the comments section. If you create an account on Gravatars website and after complete your Gravatar profile. The Image will show all over the website comments section where you put comments using your email which is connected with the Gravatar profile. 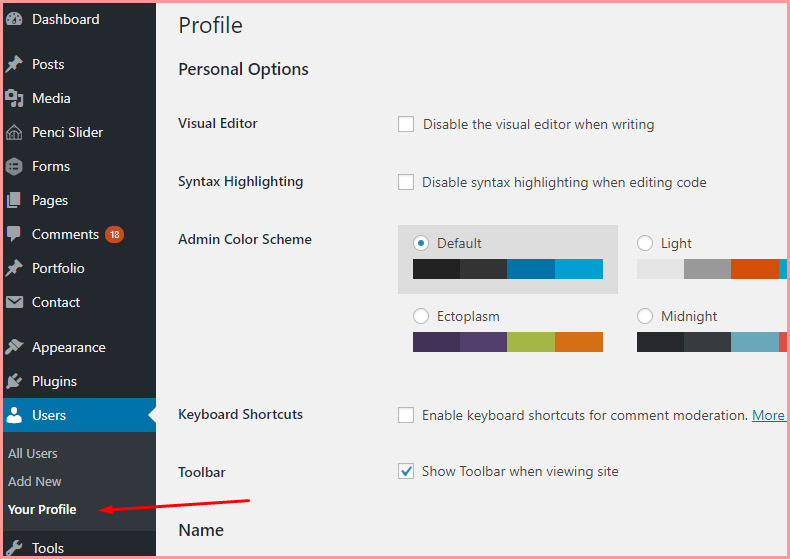 Now it’s time to complete your user profile from the WordPress Users section. Into this section, you can add Description, Social profile link etc. Many other important settings are available there. If you notice then you will see by default WordPress put your username into the post and comment section. But it looks unprofessional. You can change it easily under the User Profile section. For making any change you have to go to Users > User Profile From this section you can easily add your Nickname and full name also. And change your email address too. Most of the user get confused on this part. And they don’t know which theme is better for their website. 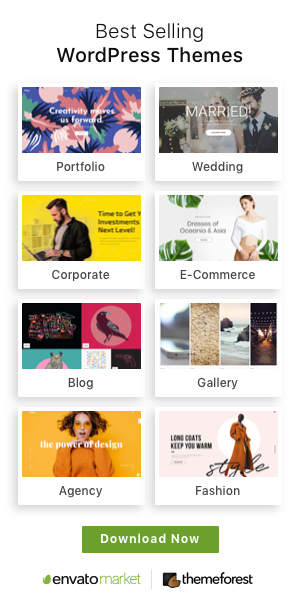 That’s why we listed in our website most popular WordPress themes for different category website which will help you to choose the best one for your website. Feel free to ask me any kind of question. Our expert team members will help you within very short time. You can directly comments here. I hope this complete tutorial will help you to get start your new website without having any issue. Helped a lot. Thank you so much for this great article. I just update my website today with new information. Following this tutorial.